All segments that appear in the “Retrieved Segments” window have their weight listed next to the source data. The following window will then appear, in which you can enter any number between 0 and 100. To turn the filter on and turn it on, you must switch it on again: Right-click in the gray area of the “Retrieved Segments” window again and select Apply Weight Filter. This will cause only those segments to be displayed in the “Retrieved Segments” window that have a weight score within the defined range. 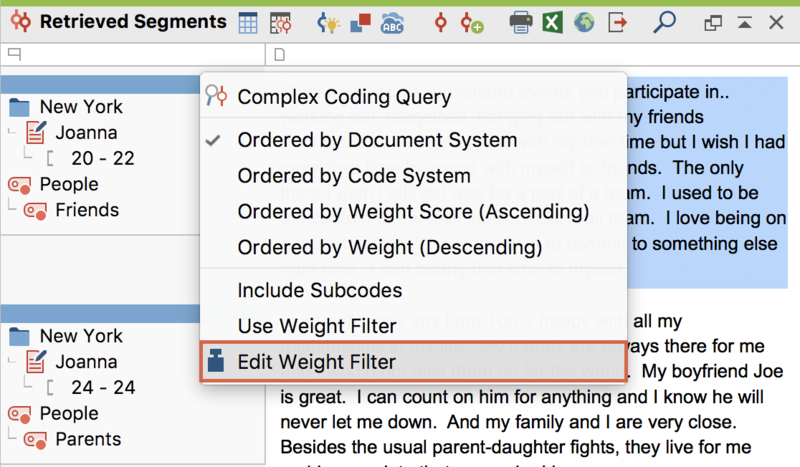 The weight filter affects all retrieval functions, including “Intersection” and all functions of the Complex Coding Query. The status line at the bottom of the screen indicates whether the weighting option is currently activated or not. When the function is switched on, the weight range applied in the “Retrieved Segments” window is displayed. 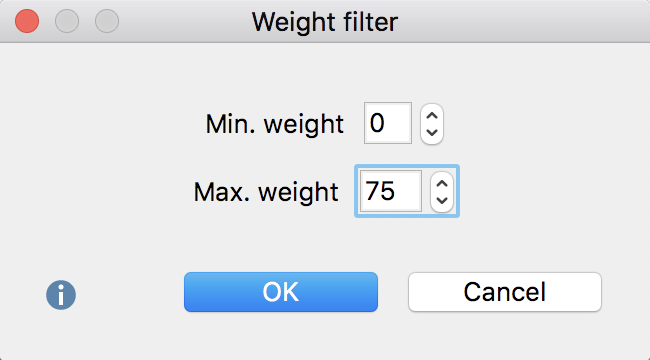 To the left of the weight filter, the default value for the weight is also displayed in the status bar. After clicking on this icon, you can change the value assigned by default when assigning codes.